DAVID WASTING PAPER: A Very Sad Day for the World of Cartooning! A Very Sad Day for the World of Cartooning! It’s with a very heavy heart that I share with you that my friend Bill White passed away this past Saturday. Bill was one of the funniest, most talented individuals I knew! 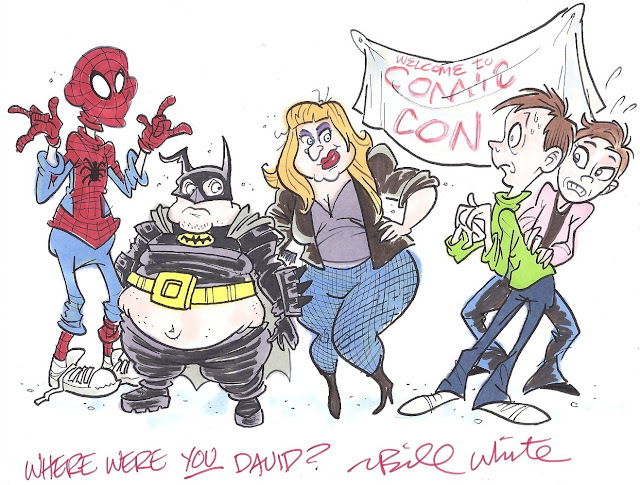 Bill studied animation at The Kubert School of Cartoon and Graphic Art under former Disney animator Milt Neil. As a penciler, inker and writer he contributed artwork and stories to many comic book publishers including Marvel Comics, DC Comics, Archie Comics, Walt Disney Publishing and Harvey Famous Entertainment. The Flintstones, The Jetsons, Scooby Doo, Donald Duck, Roger Rabbit, Casper and Richie Rich are just a handful of characters he illustrated. 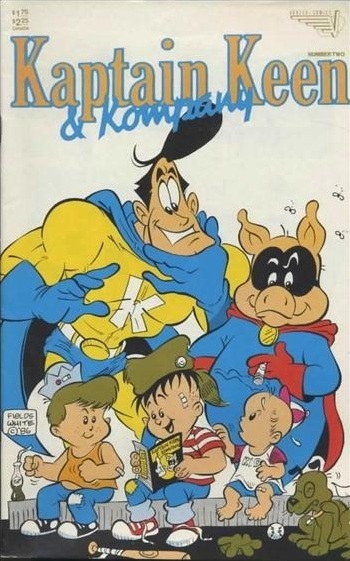 In addition to illustrating other people’s characters, Bill had a comic book that featured his own characters, Kaptain Keen and Kompany. Having a six issue run Kaptain Keen and Kompany was optioned for a television show in 1986. In the animation field, Bill worked for Spumco ('Ren & Stimpy'), DIC Productions ('Inspector Gadget') and Walt Disney Feature Animation. 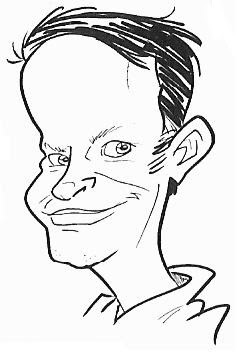 Bill was also an exceptional caricature artist and was a guest lecturer at all of the cartooning classes I took over the years. More than any of the above, Bill was one of the funniest, nicest, giving people I knew. He shared his love of all things cartooning with me, including recommending books and introducing me to some of the legends in the field such as Ernie Colon. 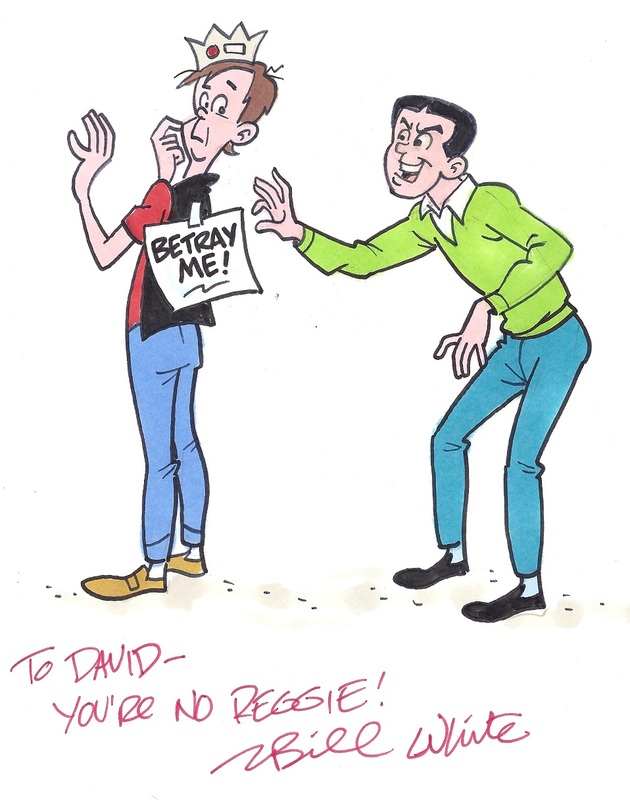 He was also the very first cartoonist to participate in my Cartoonist Surveys. Words can’t express how much Bill influenced me and what a giant hole his loss has left. I’m really going to miss “geeking out” with Bill about some cool new action figure or Star Wars toy. Please keep Bill’s wife Sharon (a.k.a. PW…Perfect Wife) and his entire family in your thoughts and prayers as they struggle with their loss. May their memories of Billy’s love and laughter bring them comfort and smiles in the years to come. Here are a couple of Bill’s originals that he drew for his blog and gave to me…they will be treasured even more now. Even though he said he didn't, I still say he used me as a model for the Batman!